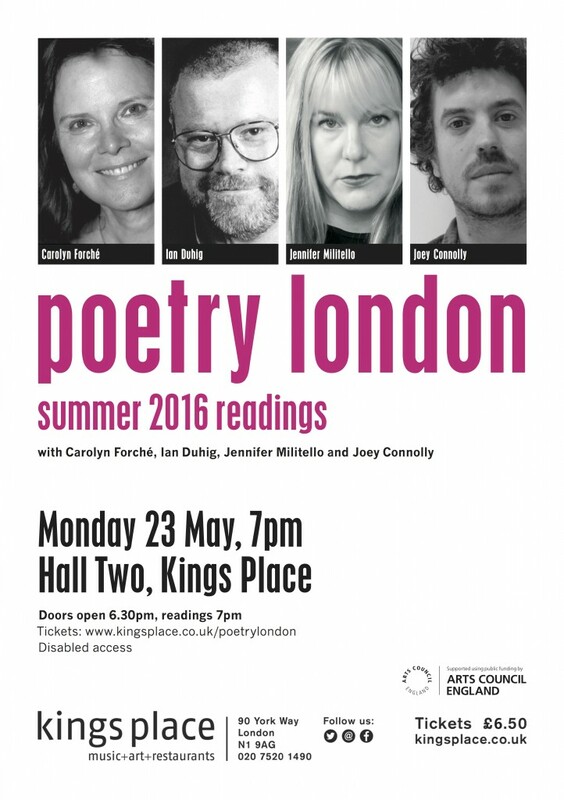 Join us to celebrate the launch of the Summer 2016 issue of Poetry London with a special evening of readings, offering a unique opportunity to hear some of the magazine’s most distinguished contributors. 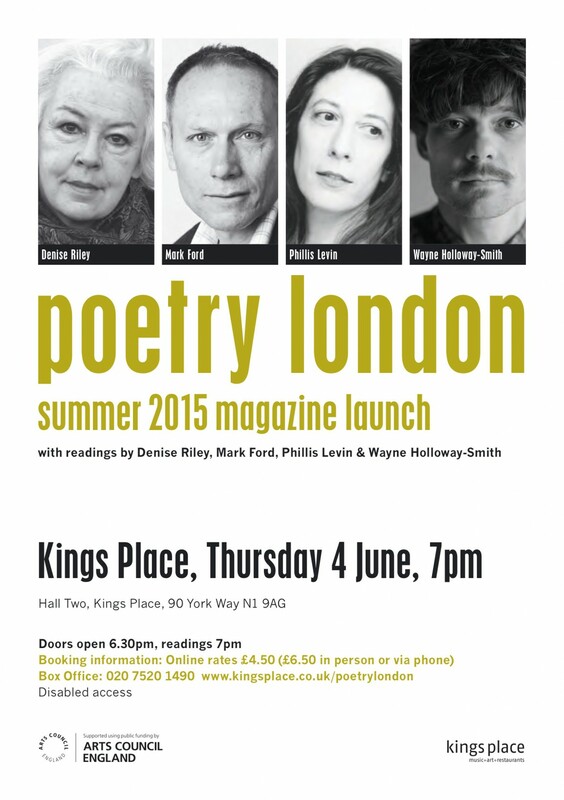 Please come to hear an evening of great poetry introduced by the editors of Poetry London. Carolyn Forché is a human rights activist and one of America’s most prestigious poets. She edited Against Forgetting: Twentieth Century Poetry of Witness (Norton, 1993). She is the author of four books of poetry. In the Lateness of the World is due from Bloodaxe next year. She is Professor of English at Georgetown University and Visiting Professor at the Newcastle Centre for the Literary Arts. Ian Duhig has won the Forward Best Poem Prize, The National Poetry Competition twice, and three times been shortlisted for the T.S. Eliot Prize. His seventh book of poetry, The Blind Roadmaker, has just been published by Picador. Jennifer Militello’s first collection, Flinch of Song, won the Tupelo Press First Book Award. Her second from Tupelo, Body Thesaurus, was named one of the best books of 2013 by Best American Poetry. Her third book, A Camouflage of Specimens and Garments is due this year. Joey Connolly edits Kaffeeklatsch poetry magazine. His poems were included in New Poetries VI (Carcanet, 2015) He received an Eric Gregory Award in 2012 and his first collection, Long Pass, is forthcoming from Carcanet in February 2017. Monday 23 May, 7pm. Kings Place, Hall Two.